Most cities are behind in digitizing their paper land records, so a typical cadastral database rarely contains comprehensive digital archives. This means that uncovering a parcel’s ancestry can require conducting long and often inconclusive research in the filing cabinets at the local registrar. To address this common challenge, Clay County, Minnesota, speeds up parcel investigations and improves the county’s property, zoning, and planning decisions by using Parcel Lineage, an app available from ArcGIS Marketplace. 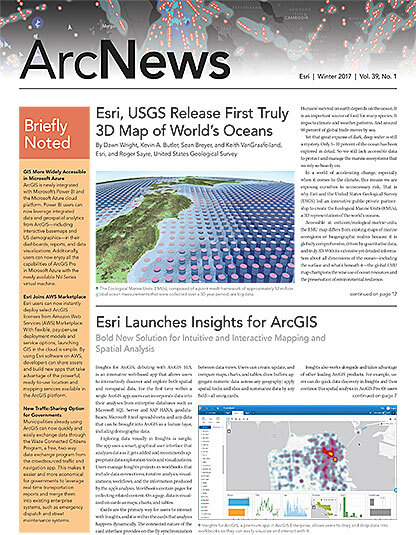 The app, developed by Esri partner Pro-West & Associates, displays the entire PIN history for any recorded piece of land. 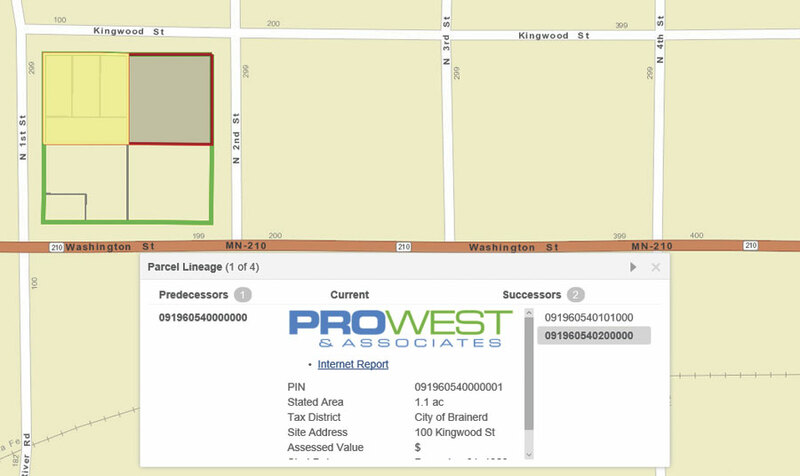 “By publishing the full Parcel History layer as a feature service in ArcGIS, that history can be brought into any web map and incorporated into the Pro-West Parcel Lineage app,” said Sloan. Clay County receives requests for building permits and to create new subdivisions all the time. Requesters have high expectations when they visit a county recorder’s office to get information. Previously, Clay County’s staff had to look through tract indexes, assessors’ sketches, old subdivision plats, and deeds to reconstruct any underlying divisions of the property. Staff often had difficulty fulfilling simple document and image requests. But now Clay County uses Parcel Lineage to find that information. The app has proved valuable in speeding up the county’s customer service. Recorders can simply open the app for the requester, search for a PIN, and print out documents and images on the spot.